Wall-mount pictures, decorations and dispensed paper products. For use on most types of clean, dry and smooth surfaces: walls, ceramic tiles, wood and more. 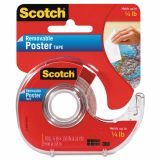 Scotch Wallsaver Removable Poster Tape, Double-Sided, 3/4" x 150" w/Dispenser - Unique, double-coated mounting tape securely mounts posters and lightweight objects on wood, glass, tile, refrigerators, vinyl wallpaper and primed or painted walls. 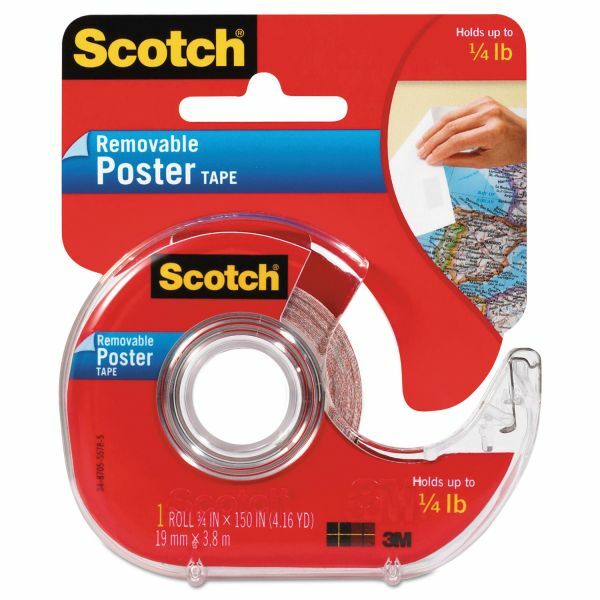 Poster tape is easy to remove without damaging surface.